Competitively priced, tailor-made inventory services for landlords, residential property managers and tenants. 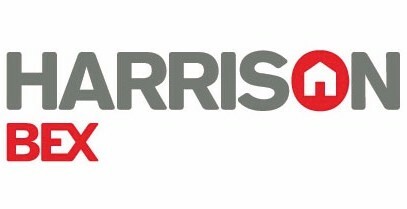 Harrison Bex is an independent inventory service provider that offers a fair, reliable and impartial inventory services to residential property managers, landlords and tenants in Romsey, Southampton and surrounding areas. We’re also the partner company of Tailor-Made Property Services Ltd.
Before a tenancy starts, it’s always a good idea to get an inventory in place, as it gives protection for both the landlord and the tenant. Our inventory lists the condition of the property and the décor, and condition of the fixtures, fittings and furniture too. For good measure, we also take a series of professional date stamped photographs. A professional check in service is the simplest way to avoid any of those tenant/landlord difficulties at the end of a tenancy. What do we do? We walk through the property with your tenant and let them thoroughly check the inventory before they sign it. Once it’s all agreed, we ask them to sign for the keys. Then we take a meter reading on the way out. It’s always advisable to check on a property every so often. We recommended an interim inspection is done every three months. During a visit, we check the condition of the property, quickly identify any potential problems, produce a detailed report with supporting photographs, and recommend any work that needs to be carried out. Having a third party manage an end of tenancy check out means everything goes off without a hitch. We check the property against the original signed inventory, make a note of any changes or damage, and take professional photographs. We make sure all keys are signed back in, and where possible, take down any forwarding addresses. Lastly, we take a final meter reading. Professional photographs that are detailed and dated are the quickest way to highlight any disparities between what’s actually there, and what someone says is there. We’re happy to visit the property at any time and take photographs to be used in conjunction with a fully detailed inventory report. By law, you have to get a gas safety certificate every 12 months to ensure that gas pipework, gas appliances and flues installed in your property are safe to use. Our Gas Safe Registered engineer is more than happy to help.